Don't Let Disney Gaslight You: 'The Lion King' Remake Is An Animated Film. Here's The First Teaser. Don’t Let Disney Gaslight You: ‘The Lion King’ Remake Is An Animated Film. Here’s The First Teaser. By Amid Amidi | 11/22/2018 6:01 pm | Be the First to Comment! 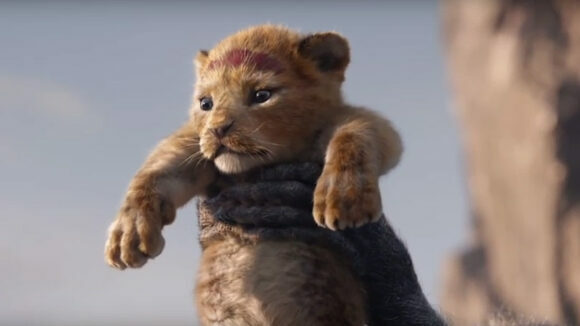 Walt Disney Studios released a teaser today for The Lion King, an animated remake of its 1994 film of the same name. The Walt Disney Company continues to try and mislead audiences by suggesting that the film is live action. In the Youtube video description, they state, “From Disney Live Action,” and while it may technically be true that the film is from their live-action division, it doesn’t take a scholar to look at the trailer and realize that there are no live-action performances onscreen. It’s a mystery to us why the company is trying to gaslight audiences and convince them that this is a live-action film. Are they expecting audiences to believe that that’s Donald Glover in make-up as Simba in the image at the top of the post? Photoreal animation is still animation – and even though there’s plenty of virtual production techniques, performance capture, and perhaps even cinematography used in the film, those are still being applied to a final result that is principally animated. Worst of all, Disney’s stance denigrates the contributions of hundreds of underpaid animators and digital artists who worked their asses off to create the film’s animation. The animation on this film is arguably even more difficult to pull off than the original film because it has to be completely seamless and believable as real animals, not stylized caricatures of animals. The people who accomplished this deserve credit for their work, and should be as recognized as prominently as Donald Glover, Seth Rogen, Chiwetel Ejiofor, Bill Eichner, John Oliver, Keegan-Michael Key, Beyoncé, and the other celebrities involved in the production. Directed by Jon Favreau (Elf, Iron Man, The Jungle Book) from a script by Jeff Nathanson (not to mention the dozens of Disney story artists and animators who crafted the original characterizations and story), The Lion King will open in U.S. theaters on July 19, 2019. The film’s vfx supervisor is Rob Legato and the lead animation/vfx house is MPC.